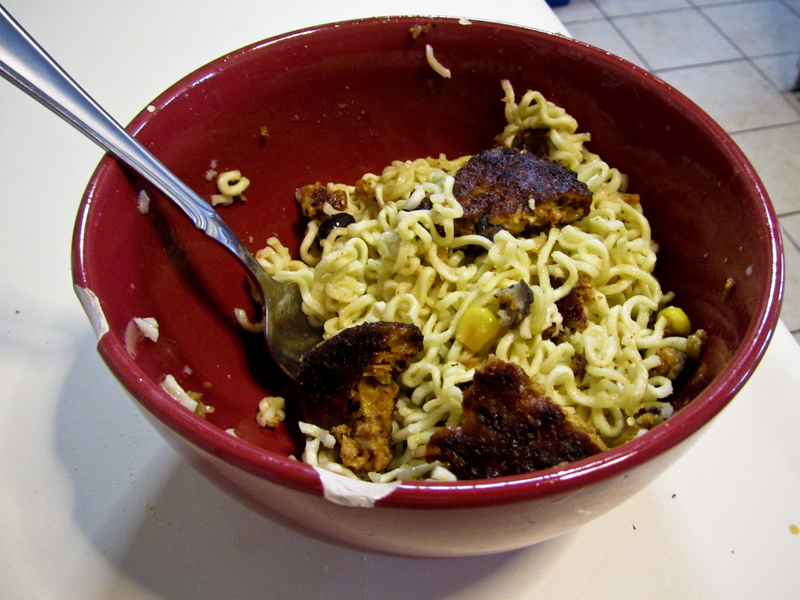 Cook the ramen noodles in the microwave in just enough water to cover them. Drain. Add the margarine (or olive oil) and sprinkle with the garlic powder, salt, pepper and nutritional yeast. Stir together and eat. Mix in a spicy black bean burger, pan-fried in olive oil and you’re good to go! This was my first experience with nutritional yeast, and it’s great; it has a nice cheesy taste. I’m sure I’ll be incorporating this into a lot more dishes in the future. ← Microwaved tofu?! Yes please.